Recently I received a number of on-demand printed advertisements along with the usual coupons I receive at the check stand of the store I regularly buy my groceries from. Here is a slightly manipulated actual ad that is generated from the coupon dispensing machines. As usual, I have removed the actual store name and logo and replaced it with a fictitious business name. After paying for my groceries the coupon printer actually dispensed two of these ads along with my receipt and a couple of other coupons. The printed advertisement from the store makes the claim that organic products are beneficial for the consumer and for the ecology of the planet Earth. This is an assertion that looks and sounds good and makes the consumer feel better about what they buy even though the term “organic” does not necessarily mean something is healthier to eat. It refers primarily to the required processes used to produce a product that is certified as organic in origin (which can be quite liberal in definition). While the claim that organic products are superior to other foodstuffs may be true any environmental gains from organic farming must surely be negated by the obscene amounts of paper waste generated to proclaim said benefits. The distance between the public relations claims of a company and their vendors committing to being ‘green’ issued from the rarefied heights of the Boardroom and the street-level reality can be measured by the the many miles of paper spam generated at the cash register. Do the math: One 6-inch ad x an average 3000 customers per store x 2400 stores nationwide. Related post: Waste Lots, Want Not. As loathe as I am to act as an outlet for free advertising the bizarre “through the looking glass” commercial for pet food is just too strange not to mention. Capturing the attentions of jaded, cynical and increasingly suspicious consumers is a never-ending battle and a billion-dollar a year industry. One of the tactics to trick the public into noticing an ad or promotion is what I term the False Negative. The False Negative is becoming more pervasive over the last several years and violates one of my rules when it comes to purchasing: If a lie is needed to get me to purchase a product then I will never, ever buy it. This is just one of my rules that makes me a smart shopper but in the eyes of the Gods of Retail a poor consumer. The False Negative manifests in any number of ways with one of the most common being the the false error tone. 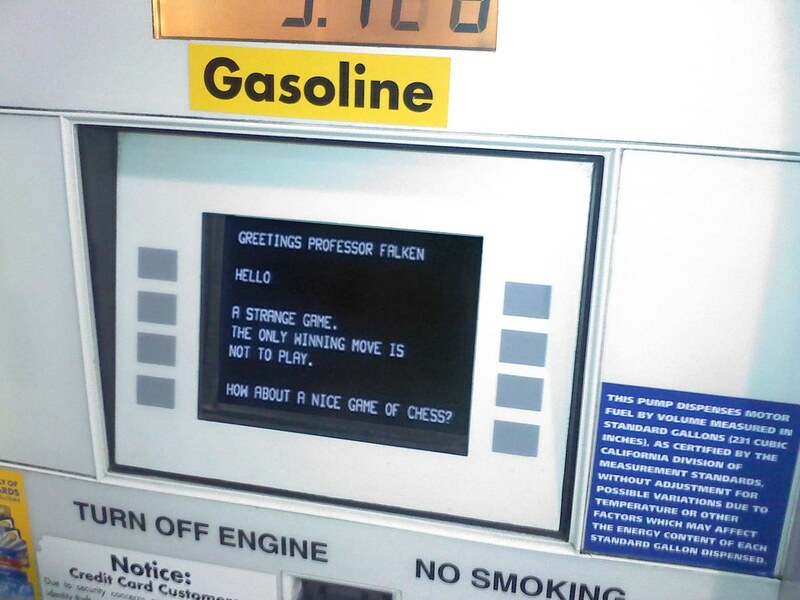 At various places such as the gas pump and at the check stand in supermarkets (as noted in the previous post Waste Lots, Want Not) the False Negative comes as an alert from the equipment that a person would normally associate with an error. I initially noticed it a few years ago while gassing up my car. The pump beeps with a descending tone, the opposite of the usual higher-pitching rising and happier sound of a successful transaction, prompting me to investigate by looking at the pump display screen. Where one would expect a message reminding me to choose a grade of gas instead would be an advertisement for refreshments or a car wash. This is a tactic in up-selling I expect that will decrease in effectiveness over time. Annoying consumers in this manner is a poor strategy that should only result in short-term gains, if any at all. One could only cry wolf only so many times before it is ignored. A False Negative that has been in retail stores for a while is the floor display advertisement in supermarkets. 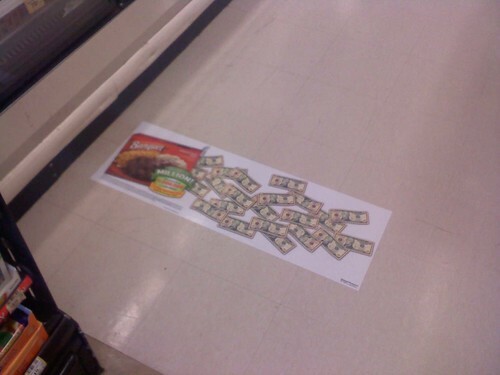 These ads occur as large adhesive signs applied to the floor of various aisles. One of the common themes of the floor display ad is that it resembles in layout an accidental spill or scattering of a product. In the snack foods aisle the floor ad would feature a bunch of cookies laid out on a plate. 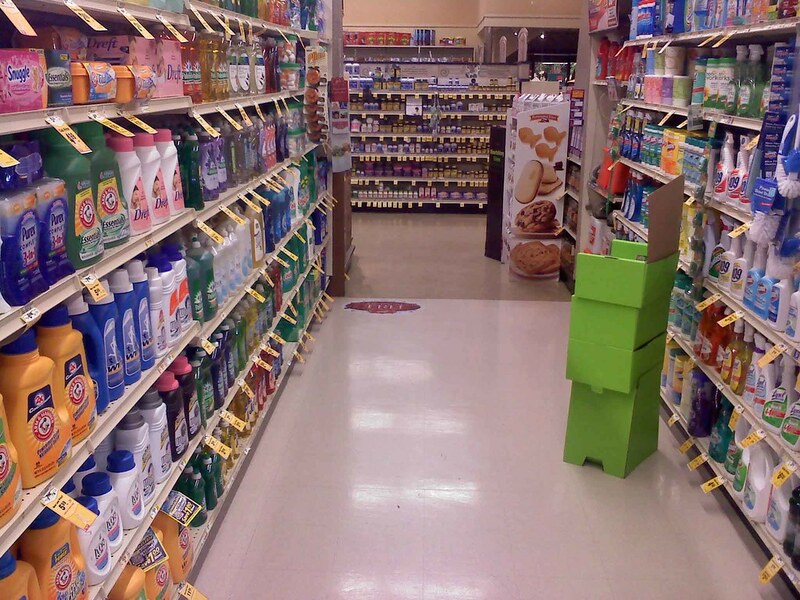 In the cleaning aisle a large ad for detergent could resemble a puddle of liquid soap on the floor. Typically the ads depict a box with the product bursting from it in some sort of flavor explosion. What the..? Now I can pay for the puppy’s surgery! Aw, dang. By making the floor display ad irregular in shape and form the eye is drawn to it. But not because the product is interesting or worth purchasing. Rather, the ad momentarily tricks the customer into paying attention to the product through a perception of something wrong (a failure of cleanliness) or even the hazard of personal danger through an unsafe area. 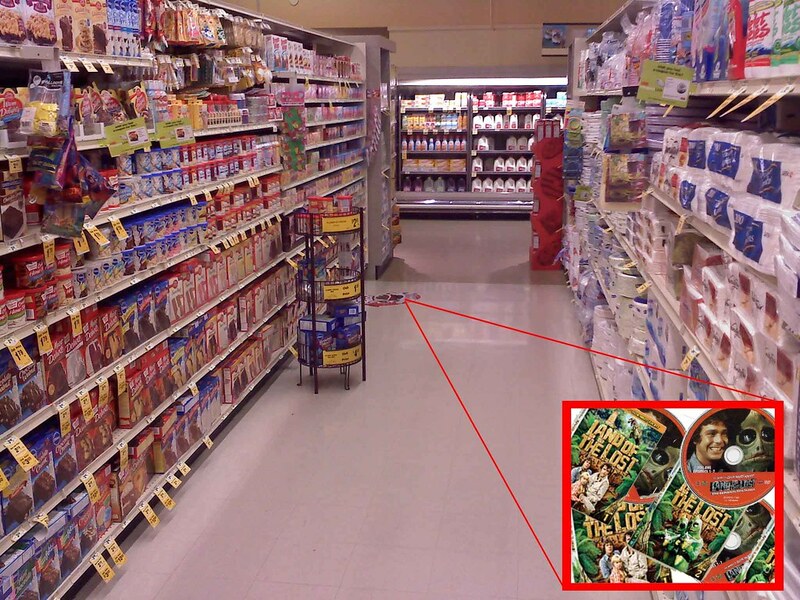 The shape and location of the floor advertisement causes the patron to notice it when entering the aisle and presumably keep aware of it on some level while shopping. From a distance of a few feet most of the ads appear as spills or messes and only when the patron approaches it closely does it resolve in the mind from possible slip and fall hazard to advertisement. Where I work I have observed an increase in calls for clean-ups in some aisles following the placement of certain ads which are moved and replaced on a regular schedule. Often customers walking by an aisle alert the employees of the store to a spill and when investigated, none is found. I have personally observed that both the customers and employees are predictably desensitized to the False Negative of the faux spill and safety hazard. After a day or two calls for clean up to the area with the floor ad begin to wane as patrons and the employees become adjusted to the ad and awareness of it fades into the visual and mental background. I have found that it is incumbent upon the managers to ensure that each call for a clean up is thoroughly investigated as due to human nature bored, careless or over-worked staff will assume yet another notification of a spill is going to prove to be without real cause. It would be interesting and not totally without merit to track slip and fall cases in retail establishments to when and where floor display advertisements were placed. An insurance company could possibly find a correlation from the possible result of an injury claim due to messes where not rapidly attended from the assumption there was no spill and the call for a clean up of an aisle was merely another False Negative. I may be the only one to ever comment on an extinct video artifact; that of the Dark Halo, a unique lens flare common to early television. There were a number of limitations to such new and expensive means of communication and for decades the promising technology was unable to fulfill its full potential as a medium. It was, in spite of its advanced nature, a fairly simple means of communication and it would take years of development and the anticipation of market penetration to work out all the bugs. Early television worked but it didn’t work all that great. Static, ghosts and other problems caused by transmission, reception and the limits of the equipment made television viewing something of a general disappointment. Television wasn’t the slick eye-party of modern times. The questionable quality was endured because that was all there was. It was the transmission of the information, not the experience, that made broadcast television worthwhile in the early days. One of those artifacts of broadcast television of days long gone that surely caused concern among broadcasters was the Dark Halo. I’m sure there is a technical term for it but I don’t know what it is. 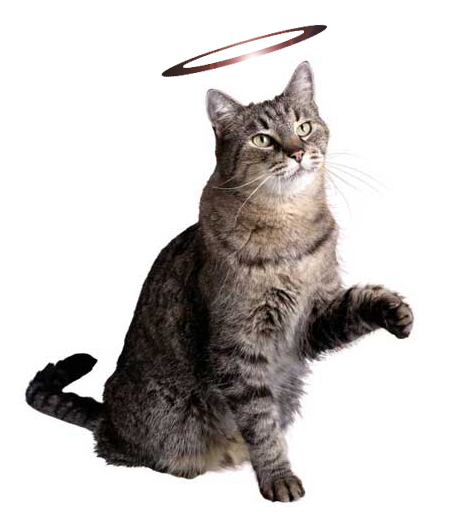 The Dark Halo was a lens flare caused by the inability of the camera or equipment to fully process the image against an overwhelming light source. It was caused by a bright point of light reflecting into the camera. Typically a bright, intense reflection from a ring, piece of metal, glass or sequins on a dress or suit would cause a bright flare on the image. Instead of a bright, white glow and haze the equipment would instead create a momentary darkened halo around a bright center. In modern film craft the bright lens flare is a camera technique used on purpose for effect (Star Trek, CSI, etc.) but in the past it was an annoyance that highlighted the limits of technology. Via boingboing. Click the photo to experience the caveman days of television for yourself. can still observe the occasional Dark Halo flare overwhelm the equipment. 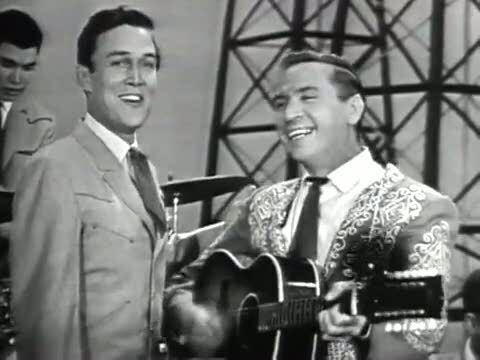 This is evident from the reflections seen coming from from the jewels on Cinderella’s crown in the 1965 broadcast of Rodgers and Hammersteins’ Cinderella. The Dark Halo is also something I look for when a modern show recreates television scenes of the past as I am nerdy that way. 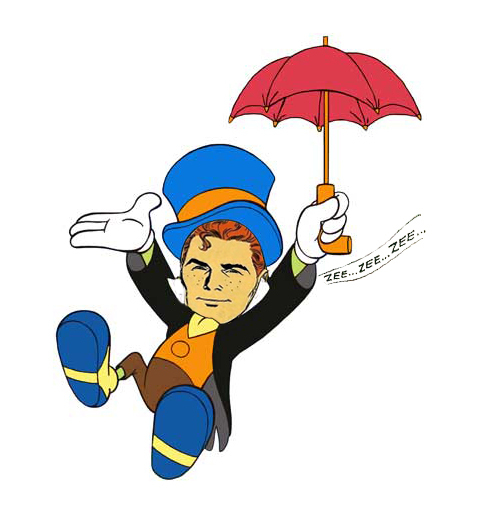 These are normally depicted during scene on a camera or monitor as a black and white image that is in the foreground of a set (as in the film That Thing You Do). In those rare instances I have yet to see any show faithfully recreate the darkened lens flare or other video artifacts with the exception of poorly rendered lettering or titles superimposed on the image.